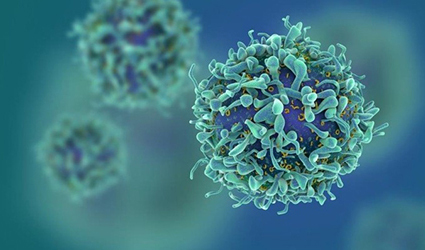 Gilead’s Yescarta and Novartis’ Kymriah garnered a lot of interest among T-cell therapies after producing high response rates in patients with lymphoma and leukemia. However, the same has not been true for this technology in cases of solid tumors. In this novel procedure, patients’ immune-boosting T cells are extracted and engineered to target and destroy cancer cells. Researchers from the Massachusetts Institute of Technology already see a solution to that problem in the form of nanoparticle “backpacks” that can be latched to T cells. These backpacks contain drugs that stimulate the immune system. This research has shown such positive results in mice studies that MIT associate Torque Biotherapeutics now plans clinical trials for the treatment of varied tumor types. This new technology is being applied by the team to a technique called adoptive T-cell therapy. It has been applied in various tumor types earlier, but it has failed to generate a potent immune response. Cytokines can be injected along with the treatments, but these immune-boosting drugs activate every T-cell which could possibly result in harmful inflammatory side effects. To tackle this, MIT researchers developed nanoparticles that can carry cytokines but don’t release them until the tumor-specific T cells attack their intended target. These cells armored with nanoparticles caused tumors to vanish entirely in 60% of mice whose T cells were engineered to target a melanoma, reported Darrel Irvine, Ph.D. in the journal Nature Biotechnology, senior author of the paper and a co-founder of Torque along with his colleagues. This is a promising, individualized approach to manage solid tumors by infusing tumor-derived T cells against cancer. Irvine of MIT opines that the cytokine-carrying nanoparticles could enhance the destruction of any tumor type with a recognizable target.